When the aim is to grow your nails strong and beautiful to show them off, weakness, lack of growth and scaling of them can become an annoying problem. If your nails do not look good, they can be soft or brittle improve your diet and improve your outlook, it will be the key to improving your outlook. New ways to repair your nails Pure Argan Oil. The polyunsaturated fatty acids and vitamin E present in the oil have excellent antioxidant qualities. These substances promote oxygenation within the cells and neutralize the adverse effects of free radicals. This way the oil provides protection to the your nails and restores the vital nutrients inside the your nails. If you want to moisten nails, you should use Arganrain Pure Argan Oil to your nails and make them look beautiful, it is significant to eat a healthy diet rich in vitamins by vegetable dishes, fruits, fish and meat often to ensure you're getting all the nutrients you need. But as happens when we want to keep skin hydrated, for healthy nails you can not forget to drink water in enough quantities. Approximately 2 liters of water per day is recommended. You don't need to absolutely drink these 2 litres, you can also eat foods that comprise big quantities of water. 3. Use ARGANRain 100% Pure Certified Argan Oil on your hands as it is important to ensure that our nails are in excellent condition. We recommend applying massage with argan oil in the morning and evening, preferably before going to sleep, so they can essentially penetrate the skin without being removed, acting more deeply. 4.If your nails are weak, dry, you can implement a simple and effective home resort that will help them recovery. Pour ¼ cup of Argan oil in a container and put your nails in for 10 minutes, then remove and wash. Repeat this process twice a week, ARGANRain 100% Pure Certified Argan Oil is rich in essential fatty acids and vitamin E, one of the best ways to nurture your nails and keep them beautiful. I use after showers and before bed all of my body and expesially for my nail health. 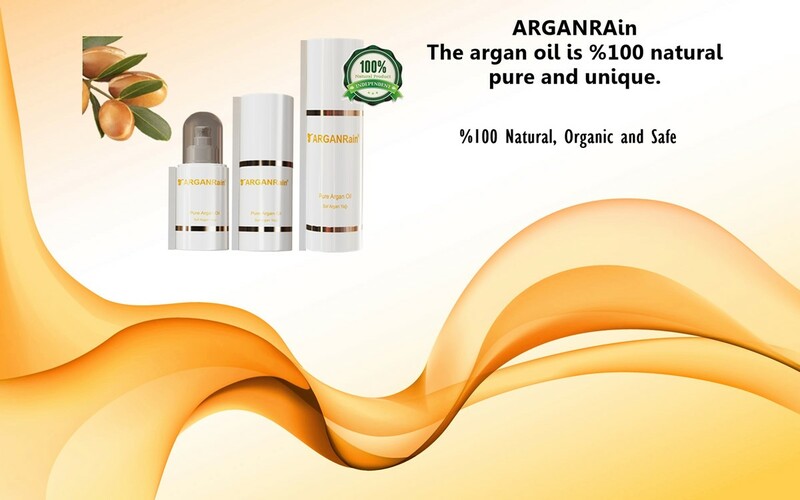 I ordered more from ARGANRain oil to replenish my supply for the final two months and found the price to be good. Argan rain %100 Pure Argan Oil is wonderful product, I used it on my nail. This is a nice product, great value.